Lipitor injury attorneys of McSweeney / Langevin are helping women injured from use of the statins Lipitor, Zocor and Crestor. Use of the cholesterol lowering drugs Lipitor, Zocor or Crestor may increase the risk of a woman’s chance of developing Type-2 diabetes. Lipitor, Zocor and Crestor are statins: a type of drug intended to help lower a person’s “bad” cholesterol. The Lipitor lawyers of McSweeney / Langevin began helping women injured as a result of Lipitor, Zocor and Crestor following a number of studies linking the use of statins to type 2 diabetes. 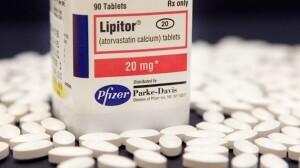 The Food and Drug Administration (FDA) approved a warning label change for Lipitor, Zocor and Crestor, to include a risk of type 2 diabetes following the publication of several studies linking the use of statins with type 2 diagnoses. These label changes warn of an increase in blood sugar levels (hyperglycemia) with statin use. The FDA is also aware of studies showing statin receipients may have a heightened risk of increased blood sugar levels and of being diagnosed with type 2 diabetes. The labels will now warn healthcare professionals and patients of this potential risk. Diabetes occurs because of defects in the body’s ability to produce or use insulin – a hormone needed to convert food into energy. If the pancreas doesn’t make enough insulin or if cells do not respond appropriately to insulin, blood sugar levels rise too high which can lead to serious health problems. An increased risk of raised blood sugar levels and the development of Type 2 diabetes have been reported with the use of Lipitor, Zocor and Crestor. Contact a Lipitor / Zocor / Crestor Attorney if you or a Loved One Experience Any of the Above Injuries. Please feel free to contact a Lipitor, Zocor or Crestor attorney using the private contact formor by dialing 1-877-542-4646. One of our experienced attorneys will help evaluate your claim and explain your legal rights for free. All information is kept private. Our Zocor / Lipitor / Crestor injury lawyers handle cases in the following cities: New York, Los Angeles, Chicago, Houston, Philadelphia, San Diego, San Antonio, Dallas, San Jose, Detroit, Jacksonville, San Francisco, Indianapolis, Austin, Columbus, Fort Worth, Charlotte, Memphis, Baltimore, El Paso, Boston, Milwaukee, Denver, Seattle, Nashville, Washington, Las Vegas, Portland, Louisville, Oklahoma City, Tucson, Atlanta, Albuquerque, Fresno, Sacramento, Long Beach, Mesa, Kansas City, Omaha, Cleveland, Virginia Beach, Miami, Oakland, Raleigh, Tulsa, Minneapolis / St. Paul, Colorado Springs, Honolulu, Arlington, Wichita, St. Louis, Tampa, Santa Ana, Anaheim, Cincinnati, Bakersfield, Aurora, New Orleans, Lexington, Pittsburgh, and Buffalo.